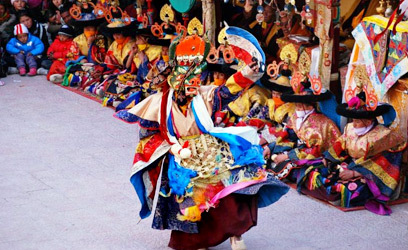 Founded by Changzem Tserab Zangpo, a disciple of Tsong-kha-pa, Diskit Monastery is the largest and the oldest surviving monastery in Nubra Valley. 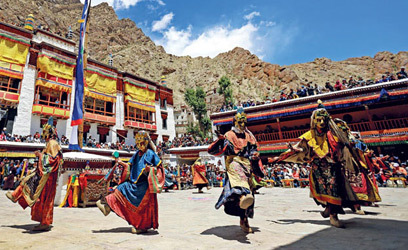 Overlooking the valley and Shayok River, the monastery stands atop a hill. 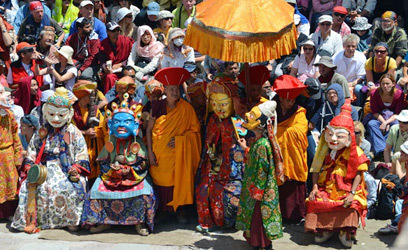 The Deskit Gompa or Diskit Gompa belongs to the Yellow Hat (Gelugpa) sect of Tibetan Buddhism and is known for Diskit Gustor in Leh Ladakh. 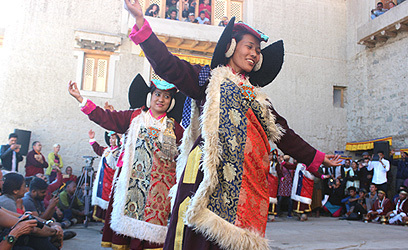 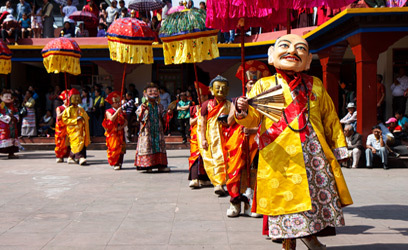 The Diskit Gustor Festival brings life to the Diskit Monastery. 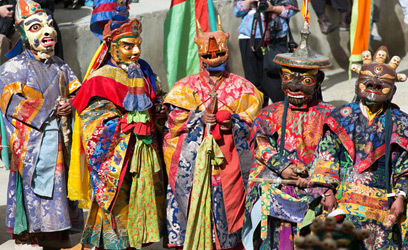 The fiesta is celebrated for two days. 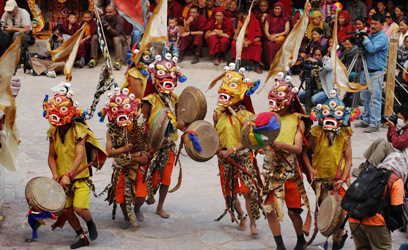 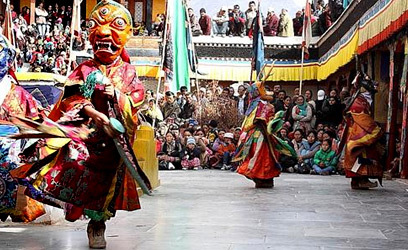 The major highlight of the Diskit Gustor festival of Ladakh is that it marks the victory of good over the evil. 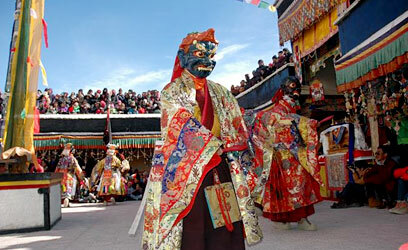 Burning of the effigy of the evils and their symbolic assassination concludes the festival. 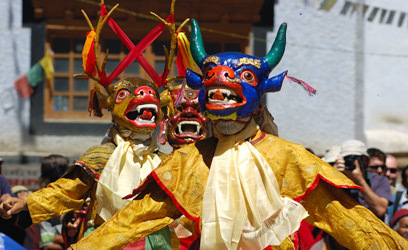 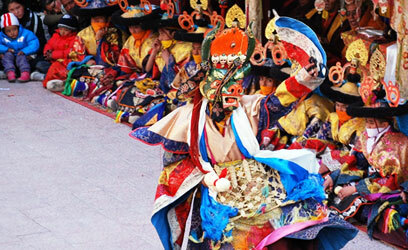 Witness the Lamas performing Chaam Dance, a dance performance by wearing sacred masks accompanied by music. 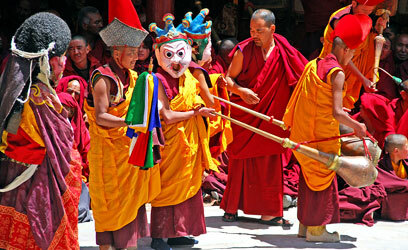 Various musical instruments like cymbals, drums and long horns etc. 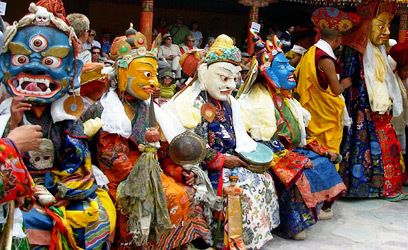 play soul soothing rhythms which takes you to a different world altogether. 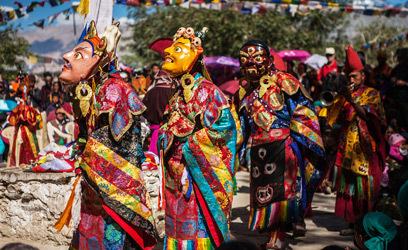 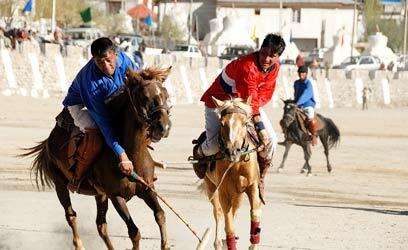 The Diskit Gustor festival will be taking place in 2019 at Ladakh from 26th October to 27th October. 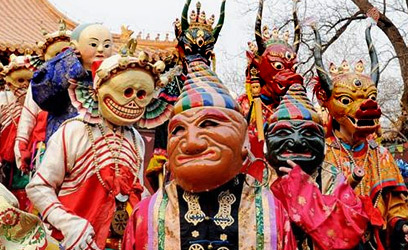 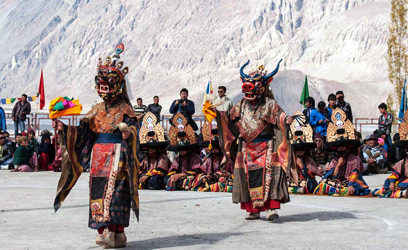 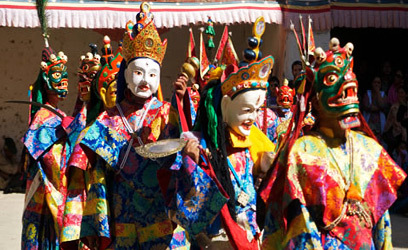 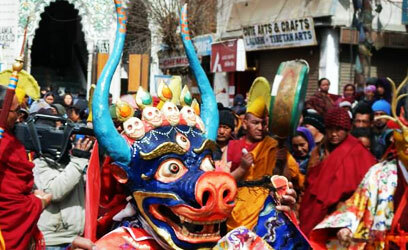 The Diskit Gustor in Leh Ladakh is celebrated to mark the victory of the good over the evil.